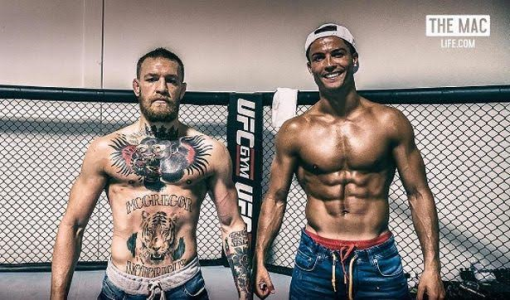 UFC champion Conor McGregor has revealed that his friend Cristiano Ronaldo has signed a new contract at Real Madrid, hence it'll be tough to surpass him as Forbes highest earning sportsman. McGregor, 28, who recently met up with Ronaldo, 31, in California, appears to have let slip that Ronaldo has put pen to paper on a new deal to keep him in Spain for the rest of his career. Mr Kene Mkparu,(CEO of Filmhouse) and Hon. FolorunshoFolarin-Coker(Hon Commissioner, Tourism, Arts Culture) at the signing of the partnership. On 12th of August 2016, in Lagos, Nigeria, “ONE LAGOS” the tourism master brand of Lagos State Government duly represented by the Hon Commissioner for Tourism, Arts & Culture entered into a wide ranging strategic alliance with FILMHOUSE that covers Cinema and Film policy development as well as best practice advisory. By this alliance, FILMHOUSE is now an official media and distribution partner for all One Lagos content and events. The alliance is positioned to make an immediate impact as both parties are enthusiastic about the various opportunities and key actions that they believe can drive growth in the sector. 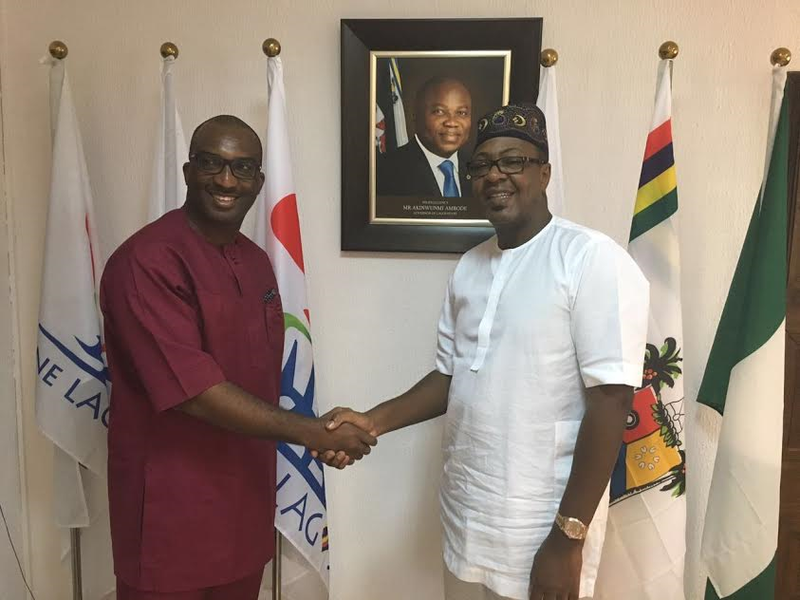 “ONE LAGOS” will provide both context and opportunity for all who seek to engage the minds and souls of Lagosians as we shape the narrative on Lagos as the tourism destination in Africa. AboutOneLagos: The “One Lagos” brand is the Lagos State Ministry of Tourism, Arts and Culture’s tourism master brand that showcases the true spirit of Lagos through different creative expressions while leveraging on the city’s abundant soft power to celebrate our people, places and the unique heritage of Lagos. 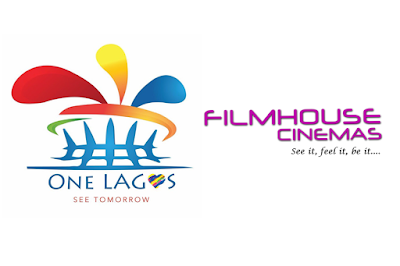 About Filmhouse Cinemas: Filmhouse Cinemas is a dynamic film exhibition company based in Lagos. We are today the largest cinema chain in West Africa, with 10 operational cinemas in 3 ½ years across Nigeria (in Apapa Lagos, Surulere Lagos x2, Ibadan x2, Akure, Asaba, Port Harcourt, Calabar and Kano . The 11th site, The Filmhouse Signature Cinema, comes on stream this month, August 2016 in Lekki Lagos – this would be home to the first IMAX cinema in West Africa. 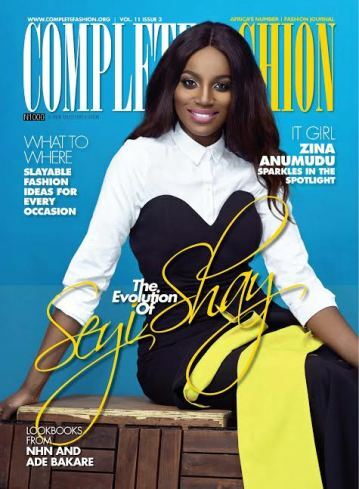 International superstar Seyi Shay is on the cover of this month's Complete Fashion magazine alongside "Falz D' Bhad Guy". The Air Brush crooner takes a very subtle and conservative approach on the Complete Fashion cover. She looks very sophisticated and demure. Seyi Shay speaks on handling controversy, working with the United Nations on "what she really really wants" & her brand new single everyone is talking about "Air Brush". 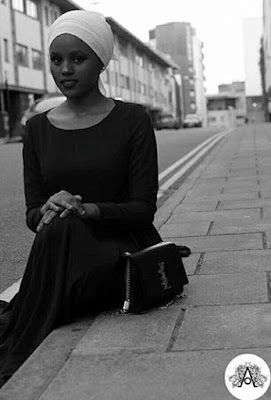 The soulful R&B singer opens up on the year she has been having and also speaks about plans she has been putting in place to become a more active humanitarian through her "Ray of Hope" initiative. 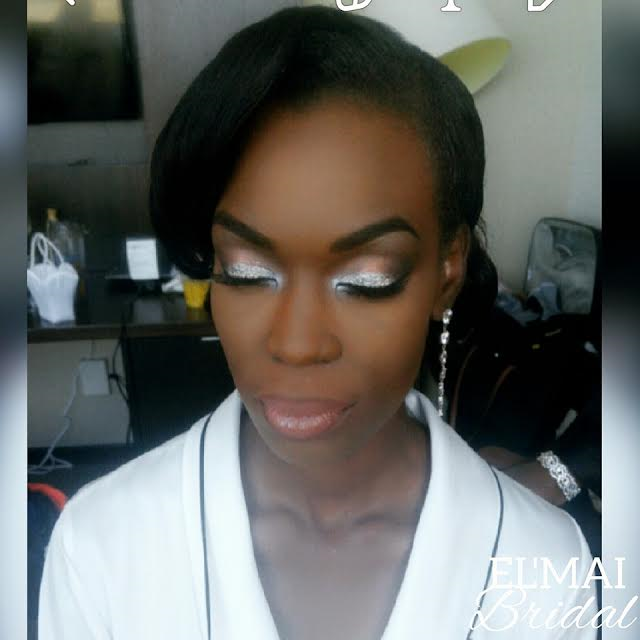 Seyi Shay continues to enjoy huge a followership and reception globally in 2016 from high profile travels to projects with global organisations, her recently released single Air Brush has received massive reception so far. 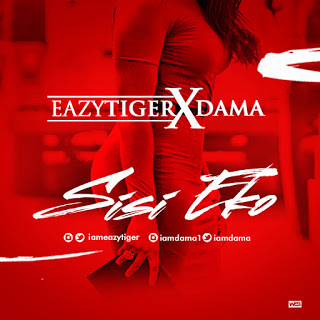 After The Successful Release of The Audio Visual ( video) to his Hit Track ‘The Way You Move’ Nigerian music sensation Easytiger returns with a new Single dubbed SISI EKO(Lagos Girl) featuring talented rapper DAMA. These days, maintaining a stable relationship is as difficult as sustaining the Nigerian economy. 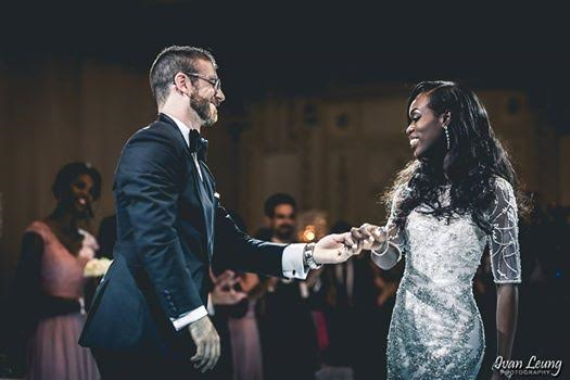 Finding a real ‘life partner’ is more or less a lottery at a time when trust is farther away from us like heaven is to earth. 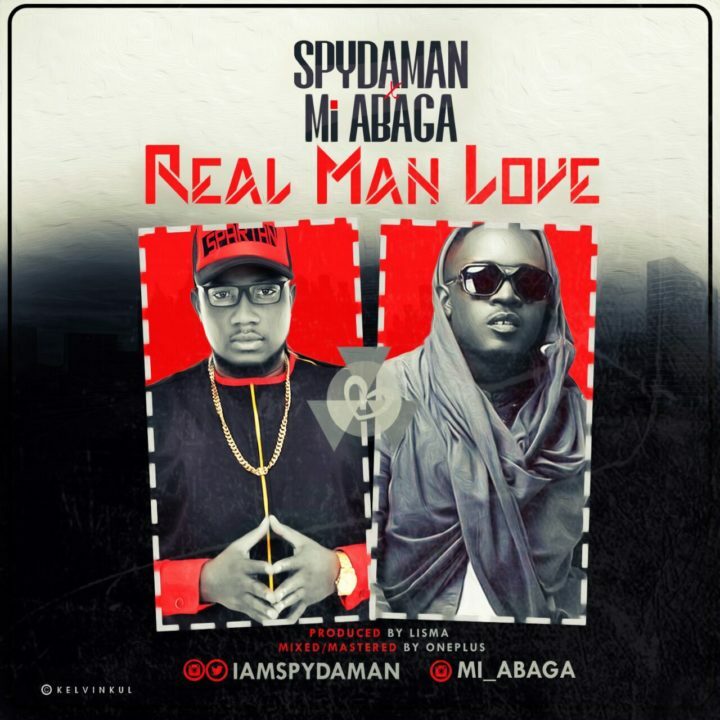 Nigerian ‘Dancehall Spartan’ and Calabar’s finest, SPYDAMAN, dishes out free lessons to his teeming female fans on how to identify the “‎REAL MAN LOVE” which is the title of his latest single with creative support from Chocolate City C.E.O, M.I ABAGA a.k.a Mr. Incredible. 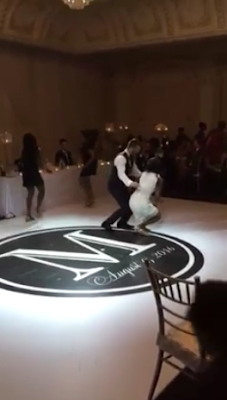 The pair was a handful on this joint rubbing it hard with poetic lyrics so soothing to a discerning mind. Forget about your worries and the hate being spread around the world, find Peace & Real Love as preached by SPYDAMAN and M.I in this banging hot song produced by multi instrumentalist Lisma and was mixed and mastered by seasoned Engineer Oneplus . 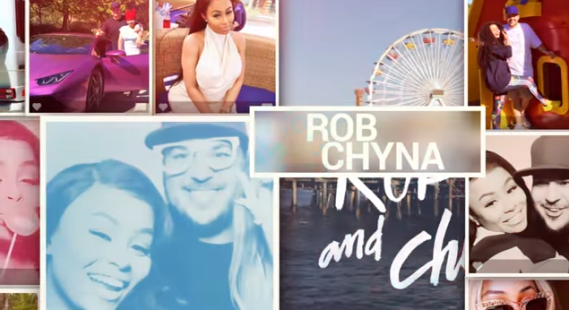 He dedicates this song to every woman out there who wants or deserves a real man. 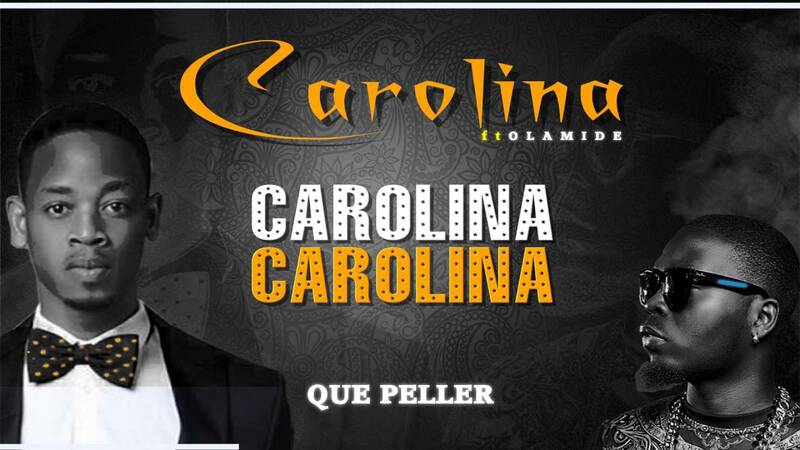 Que Peller of Aquilla records teams up with Olamide baddo for this new fire dance-hall jam titled ‘Carolina’. This is Que’s 3rd effort having debuted as a musical artist with ‘Juru‘ 13months ago. Listen below and let us know what you think. 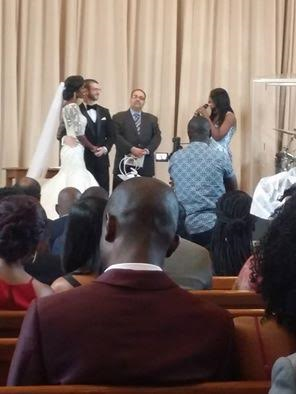 Nigerian/Irish Afrofusion artist Tevin presents his First Music video to us. 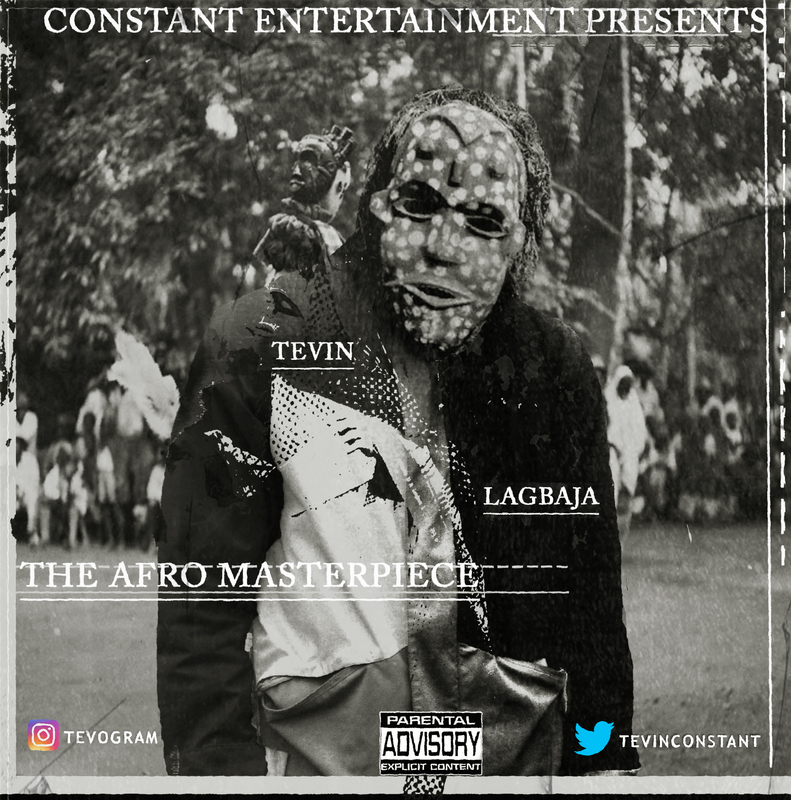 The song titled “Lagbaja” is a Banging Mix of afro rap and Afro Pop , the video showcases Tevin’s presence as an artist and as a creative. He draws the listener in with a very catchy hook from the get go “Call me Lagbaja, she say she wan see my face, I be Lagbaja” the song also creates a vibe through the Hard hitting Instrumental which was produced by Chris kabs and the vivid/Conceptual lyrics and flow that Tevin Provides . 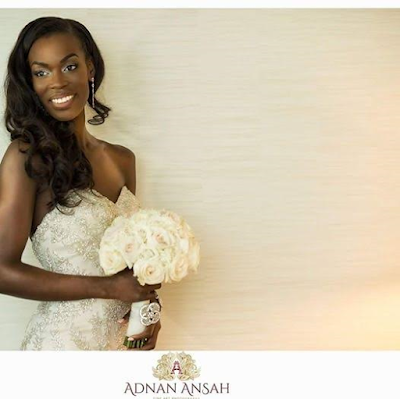 The Dark grimy Video was shot at various Locations in Lagos, The video was directed by Samson Say…. Tevin in the Native Dashiki attire performs most of the song in an Open space as the camera follows and focuses on him, look out for cameos from the popular Eyo Masquerade. 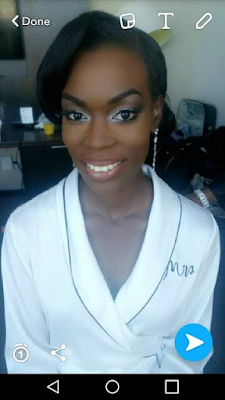 It’s a legendary affair! Modenine wants you to dump down on your sugar as he serves up this insulin. He reunited with long term collaborator – DJ Jimmy Jatt on the title track of his forthcoming album. As depicted in the video, Modenine the Polymath serves a friendly reminder on why he’s the best lyricist around here and he was heralded by Cool Dj Jimmy Jatt. 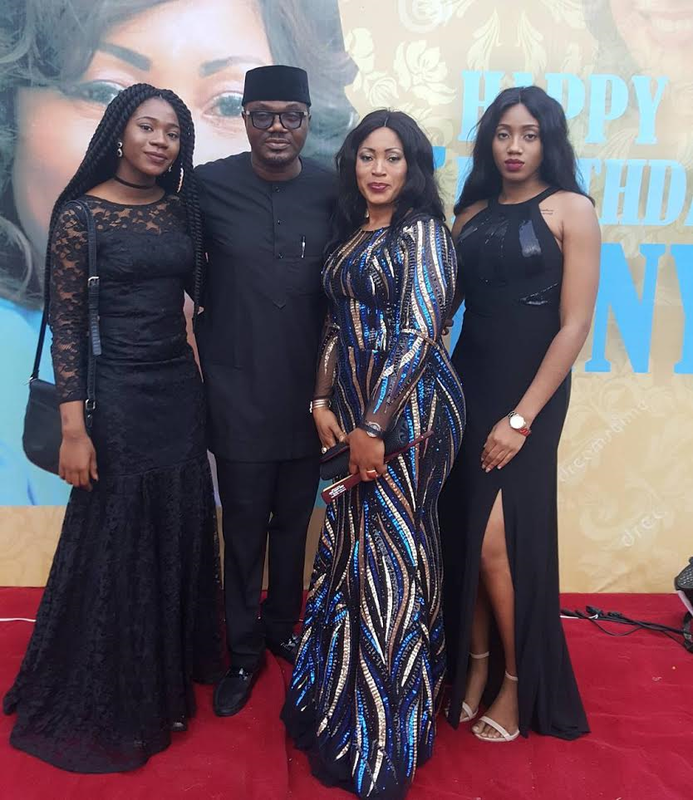 Popular Nigerian DJ, Jimmy Adewale Amu, aka DJ Jimmy Jatt is pictured with his beautiful daughters at his wife, Jennifer's 50th birthday party held Sunday. 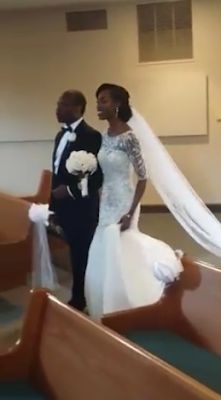 The couple celebrated their 20th wedding anniversary earlier this year. 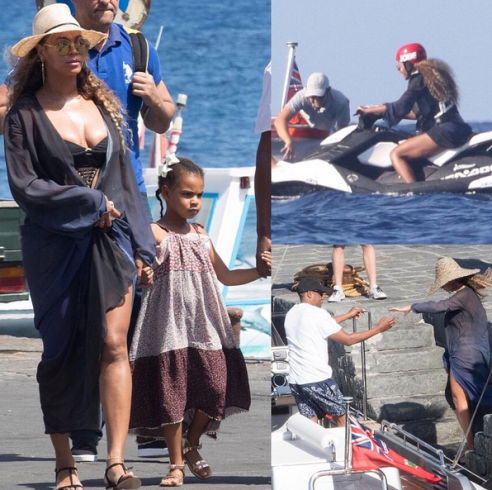 The 35-year-old former Destiny's Child member was spotted in Beverly Hills as she headed out for a bit of food shopping dressed in a white top and a really short pair of denims which showcased her endless legs. 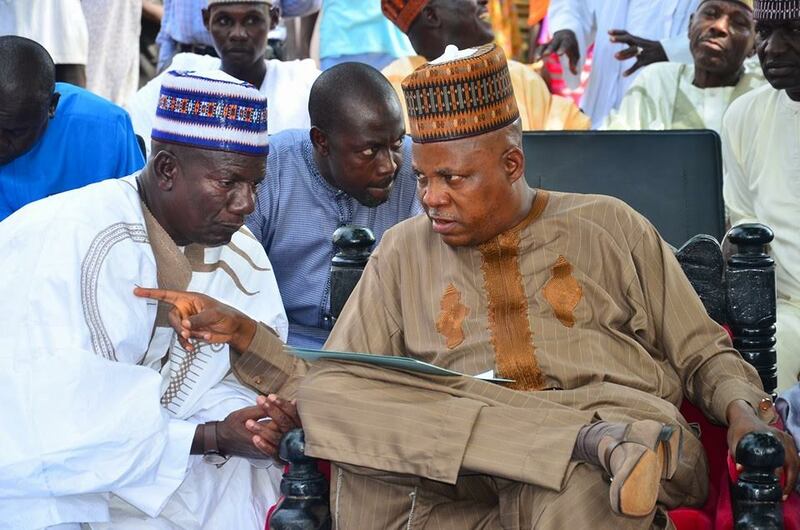 Borno state governor, Kashim Shettima, yesterday flagged off the distribution of food items and farm outreach targeting 40,000 victims of the Boko Haram insurgency through the support of the Bill and Melinda Gates Foundation which donated one million dollars to the Borno State Government as a post conflict intervention that is meant to support victims who are returning to their communities. 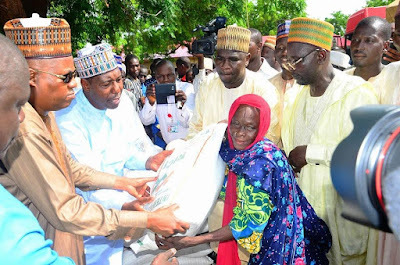 Governor Shettima kicked off the distribution of the food itemS to 1,100 households at Mainok village in Kaga local government area yesterday August 14th. The Governor announced that officials of the State Government in partnership with the Gates Foundation used the $1m to procure the food items and commenced funding of 100 hectares of farm where beans is being cultivated. He explained that 200 farm-families will be allocated tilled and fertile land measuring half hectare each along with improved seeds, fertilizer, chemicals and technical supervision so that they can start growing food crops. 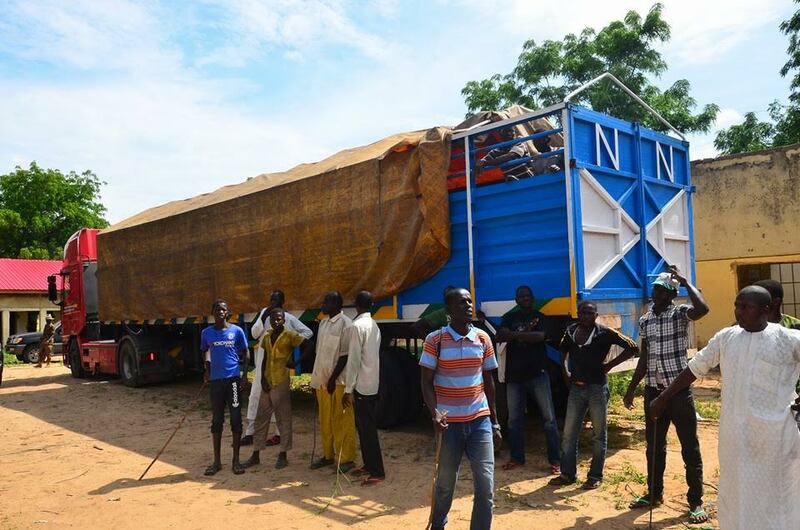 The Governor also announced the release of two trucks of maize grid to add to the food procured with Gates donation. 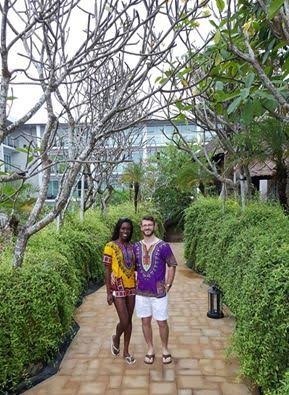 "We are grateful to God for creating people like Mr Bill Gates and his dear wife, Melinda. These leading lights of philanthropy across the world have shown love to the good people of Borno State at a time we are on the ground and looking for any hand to hold in trying to lift ourselves up. Now, with the emerging peace in Borno State, it is only necessary that as Post Insurgency response, focus should be combined in supporting all categories of the victims from those at Internally Displaced Persons, those in communities within Maiduguri, those in our satellite camps outside Maiduguri, those in communities across different local government areas who are returning to their homes and those being resettled. It is in this regard, that we are gathered today to Flag off the distribution of a key intervention of one million dollars food and farming aide donated by the Bill and Melinda Gates Foundation. Let me say it for the record, that unlike majority of interventions which happily came to us in kind, the Bill and Melinda Gates Foundation donated cash of one million dollars to the Borno State Government. It is the State Government that is carrying out procurements in the implementation of this particular intervention. The intervention is targeting returning and re-settling communities by giving them food aide and also helping them to return to their familiar ways of producing food for themselves and for commercial purposes. The intervention from the Bill and Melinda Gates Foundation is being used for food supplies and to fund farming activities for households. As a preliminary stage, beans is being cultivated in one hundred hectares of land. Half hectare is being allocated to a farm-family with a target of reaching 200 households. Each household may have from 2 to 10 family members. 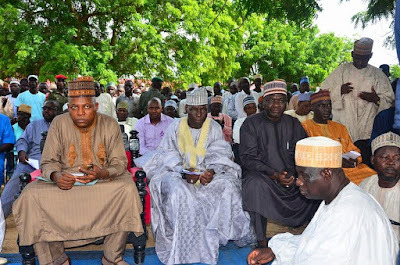 Already, farms have been established in Konduga and Damboa. Each household is to be allocated not only tilled and fertile land but also improved variety of seeds, fertilizer, chemicals and most importantly, technical field supervision by extension workers. On the food aspect, one thousand, one hundred households, not individuals, will be given a 25 kilogram bag of rice and a 10-kilogram bag for each household here in Mainok, Kaga local government area. 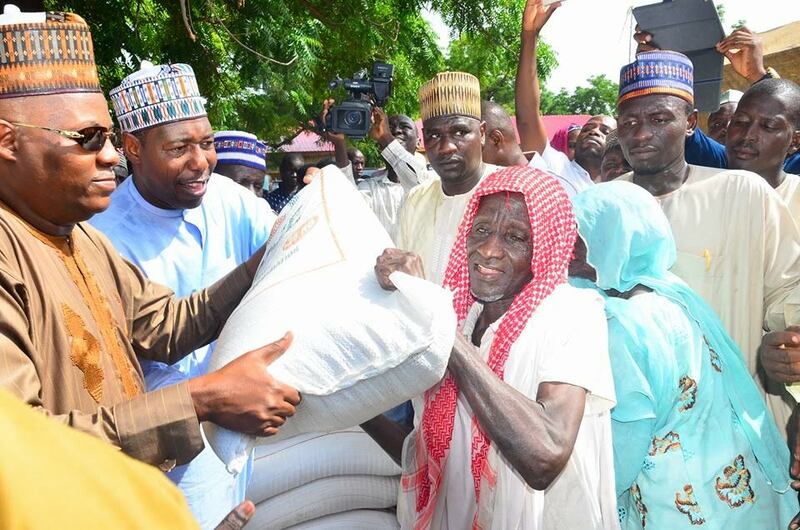 The intervention aims at reaching 40,000 victims of the insurgency through households on both food aide and farming activity. We are particularly interested in ensuring that citizens begin to produce food crops in safe locations because direct food aide in post conflict situations is never sustainable over a long period of time" Shettima said. Officials of the United Nations High Commission for Refugees (UNHCR) and United Nations Office for the Coordination of Humanitarian Affairs (UNOCHA) witnessed the distribution with good will presented by them. The Commissioner for Reconstruction, Rehabilitation and Resettlement in Borno State, Dr Babagana Umara Zulum explained that two trucks of food items as well as two farms in Damboa and Konduga funded through the Gates donation were ready for immediate access on Sunday while more communities were to benefit in a continuous exercise. The last couple of weeks have witnessed the heaviest public criticism of the Muhammadu Buhari administration since he came to power after inflicting a heavy defeat on the Peoples Democratic Party and their candidate Dr Goodluck Ebele Jonathan. Much of it has been on account of the unresolved social and economic problems facing the country. 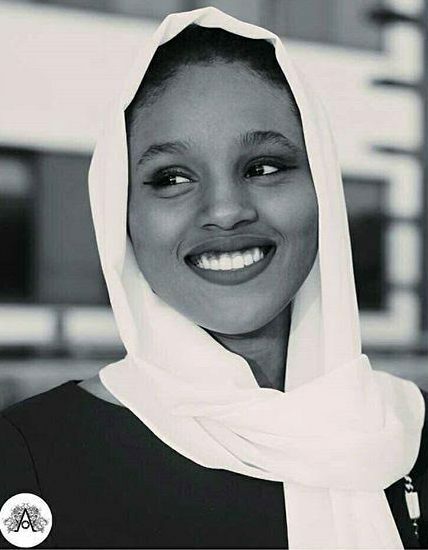 Unfair criticism of the Buhari administration especially on account of escalating prices of foodstuff and the liberalization of the currency exchange needs to be challenged before it overshadows the commendable job the President has done in fighting terrorism as part of overall effort to secure the country, reducing corruption and yes, arresting the economic slide before it sinks the the nation. The Hausa have a saying: "Ba zomo na kashe ba, rataya a ka bani," meaning literally "I killed no rabbit, I am helping to carry the prey." Wherever they go these days, in London, Dubai, Beijing, Washington, New York or Tokyo, Nigerians get the good feeling of being asked the question, how is President Muhammadu Buhari? 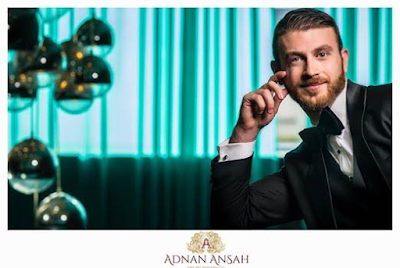 It is a proud moment for many citizens that the country is being perceived differently now that it has a different kind of leader creating a positive buss abroad, the kind of sentiment that can lead to foreign investments when properly capitalized upon. The lavish praise the President gets abroad and the wide public support he enjoys among the lower segment of the local population is, by contrast, given a short shrift in the local press, mainstream and online. At its lowest point, this unambiguous media rebuke has created a wave of sympathy for anyone with a view that runs counter to the President's. Boko Haram terrorist leader, Shekau or the pipeline vandal from the Delta region is more likely to get newspaper front pages today than the Minister of Labour, Senator Chris Ngige or the Finance Minister Kemi Adeosun talking about jobs creation in the economy. I don't say that media criticism is not reflective of the feeling of the citizens. President Buhari has himself on numerous occasions admitted that the change mantra has brought with it pain and suffering which he likened to the pains of labor. It is a passing phase. When they ask the question, is this the change we voted for, the critic forgets how far we have come from the scam-tainted years of the PDP rule. 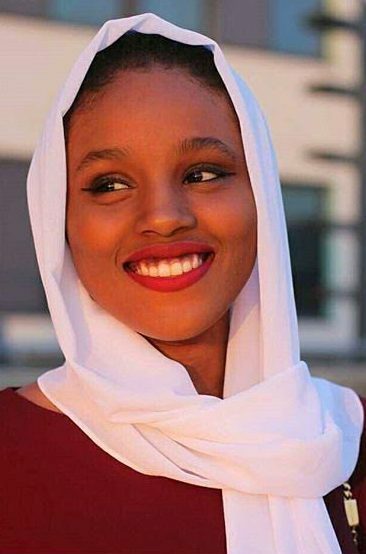 How many people have given a thought to the possibility of Nigeria doing something that the combined strength of Europe and America have failed to do? 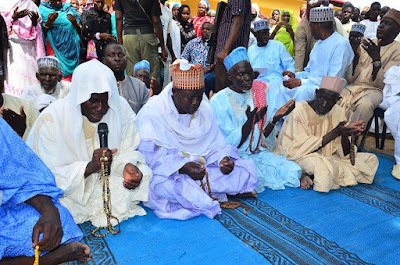 There are many today who take for granted the declared victory over the Boko Haram terrorists, forgetting the reign of the bomber who made it almost impossible for regular attendance in Churches and Mosques in many of our cities, including the Federal Capital City, Abuja. 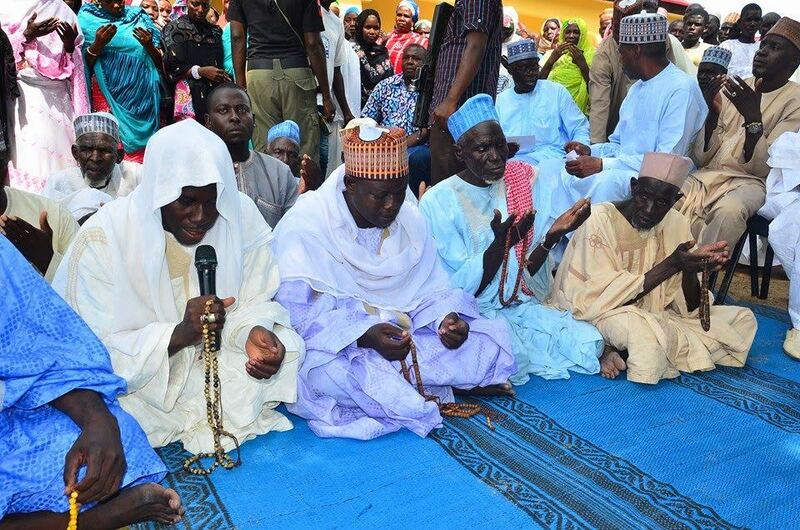 Victory over Boko Haram has brought peace not only to Nigeria but to the countries in the Lake Chad region. The world leaders are still at work trying to contain the Islamic State in Syria and Iraq, ISIS, which threat sadly continues to become more potent. Everyone living in Nigeria knows that there is a major movement against corruption as part of the ongoing change. This war has forced the return to the treasury of billions of Naira and millions of Dollars stolen by past officials. On account of this war, government suspects that the biggest trigger of the opposition to the change agenda is the army of the corrupt. With the enormous resources at their disposal; money that is unearned, these forces are ready to throw in everything to gag the Buhari administration. When he assumed office, President Buhari said he understood the outcry of Nigerians and was determined to right those wrongs. I will remind you of his inaugural speech where he said: "At home we face enormous challenges. Insecurity, pervasive corruption, the hitherto unending and seemingly impossible fuel and power shortages are the immediate concerns. We are going to tackle them head on. Nigerians will not regret that they have entrusted national responsibility to us. We must not succumb to hopelessness and defeatism. We can fix our problems. "(Emphasis added). He has said times without number that his government is dedicated to the poor. 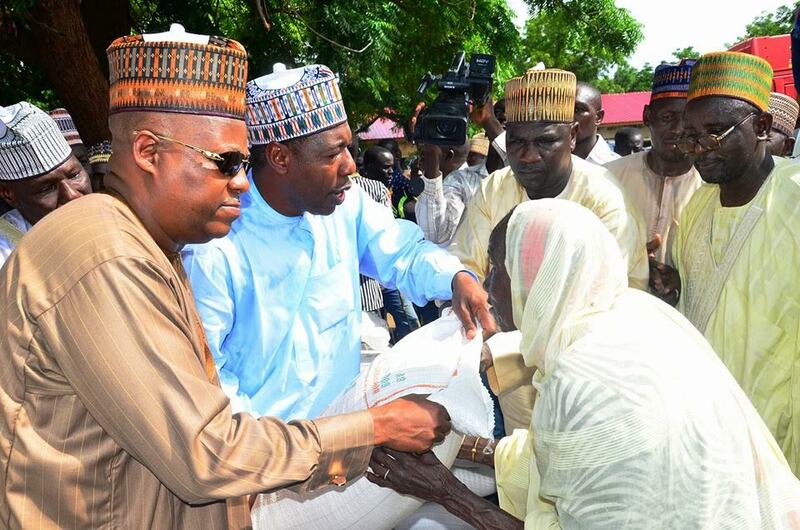 As can be seen from the 2016 budget, this is a government that is determined to hugely empower the disadvantaged groups- the poor, the jobless, the widows and the orphaned children including those of the North-East. As a listening government, the President was prepared to open the door to additional food imports but given the processes involved, the turn around in any such import of commodities would have taken a long time as to coincide with the harvest of home grown grains and cereals now in progress. The market would have been deluged and the local grower given the short end of the stick. Calls on Hausa radio by a rabble-rousing section of the opposition for the "reopening of borders" to "allow food come in" are redundant and mischievous because all the county's borders remain open till date. Following the budget, the administration has begun rolling out several social welfare programs. The direct cash transfer to the poorest of the poor, the school feeding and the recruitment/skills training of about one million jobless citizens are such an example. In addition to hard work, all leaders need luck on their side to create what is sometimes seen as economic miracles. As leader, President Buhari never had the luxury of high oil prices as did his predecessors in office. When he first emerged as the military Head of State, General Muhammadu Buhari saw oil price, the mainstay of the nation's economy sank to as low eight Dollars a barrel. He rolled up his sleeves, worked on diversification strategy of the economy only to be eased out of power just as they began to take hold. Thereafter, his successors abandoned these efforts. On his second coming, this time as a democratically elected leader, the collapse of oil prices has challenged President Buhari to quicken efforts towards the diversification of the economy with emphasis given to agriculture and solid minerals mining. Every crisis, it is said, is an opportunity. Not so in Nigeria. This is a county that inherited massive technological inventions from Biafra, yet failed to take it forward. We must not lose this opportunity to diversify the economy and our foreign earnings presented by the present oil crisis. As the country hopes for a bumper harvest this year, government is taking steps to ensure that no farmer will sell at a loss or fail to find markets for their harvests. Grain silos are being readied nationwide to receive excess produce for warehousing to ensure food security, avert market glut and price collapse. By this, government will ensure a minimum guaranteed price. In dealing with challenges of the economy, the administration is devoting attention to ridding the country of its notoriety as a difficult place of doing business. The government has been making quiet but significant progress in this area, thanks to the leadership given by the National Economic Council under the Vice President and the combined efforts of the Ministries of Trade and Investment, Finance, Interior, Foreign Affairs, Budget and Planning and the Customs under new leadership. Everyone in this sector is doing everything in their power to boost up Nigeria. President Muhammadu Buhari's infrastructure initiatives will see country making progress with intractable projects such as the Second Niger bridge, the East-West expressway, the green field Lagos-Abuja expressway and important national railway projects, Lagos-Calabar and Lagos-Kano which had been on the drawing boards for as long as anyone can remember. These projects will be counted among the accomplishments of the administration alongside the 4,000 MW Mambila power plant which the President has declared a national priority. Government has also taken several bold steps to boost renewable energy. It has opened the door for a new conversation on the environment with decisive steps towards the clean-up the Ogoniland in the Niger Delta. The currency liberalization and the deregulation of the petroleum products sale will make President Buhari one of the best presidents till date. The removal of subsidies on the petrol products has saved the government more than two trillion Naira annual expenditure in this respect. 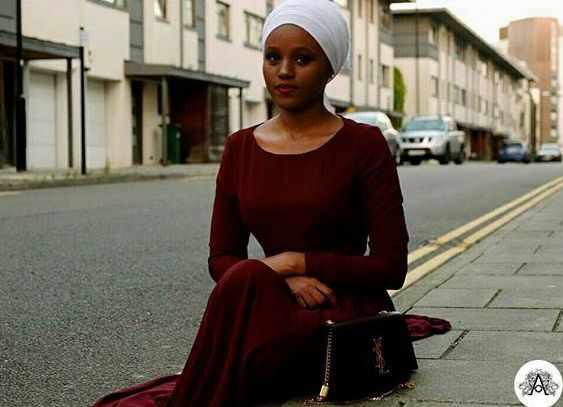 President Buhari's foreign trips have brought many things to the country. He has energized our foreign policy. Beyond the enormous goodwill reaped from "resetting" age-old but damaged relations with neighbors and distant partners and friends, the President has attracted foreign development assistance and direct investments (FDI). It is generally accepted that good foreign relations bring foreign direct investment. So much is currently being done one year into the administration. This is in spite of the world economy being sluggish and recession-stricken. It bears repeating that President is a different kind of leader, who just happens to be a victim of the tyranny of high expectations. He has brought positive intention, commitment, honesty and personal integrity into governance. This is why the country's poor hold him so dear; this is why the world is in love with him. His knack for prudent spending and effective management of resources is in the belief that this country can only prosper when there is transparency, reduced corruption and a drastic cut in bureaucratic red tape. His decision to have a small cabinet, reducing government ministries from 46 to 24 has the effect of relieving the treasury of the burden of salaries, allowances and miscellaneous expenses now being counted in billions of Naira. 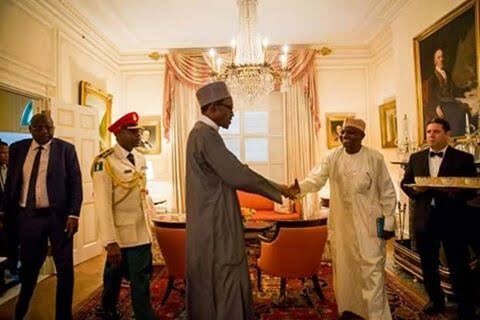 President Buhari should be credited for the the unblemished record of his ministers. This is a government that has stayed above scandal for a year. If all of these are not desirable changes, to be appreciated and adored, it is hard to know or determine what some of our critics want. These reforms certainly represent major milestones in change which have led to a decline of corruption at the top. As to the question of these leading to a resurgent economy, it all means that in a democracy everything takes times. The President needs our support with understanding and patience. No matter how hasty a president wants to bring changes, there is no magic wand in that office to make everything change from bad to good or make all of us prosperous with a wave of the hand. This change is on course. It requires patience. The change is working for the nation and sooner than later, the testimony shall be given. Senior Special Assistant to the President on Media and Publicity. it has now been confirmed on their website www.thenff.com that such an incident occurred. 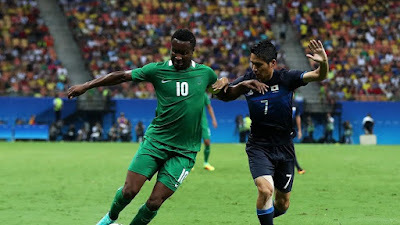 The NFF however reports that the Ministry of Youth and Sports has refunded to Captain Mikel Obi "the $4,600 he paid for the team in São Paulo on their way to Salvador."